In original Royal Mint condition. 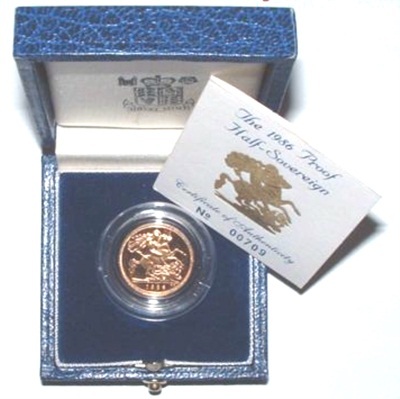 Boxed in the original dark Blue box with a black lining, and the Royal Mint description stamped in gold on the front. 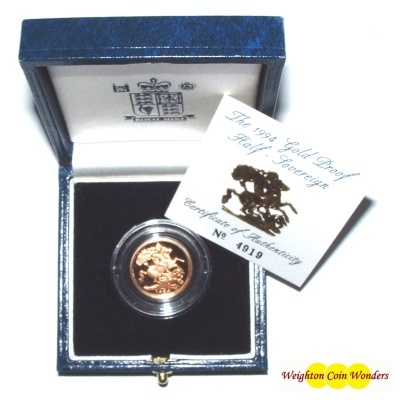 Encapsulated to keep it’s lustre, and with the Certificate of Authenticity this is a Superb coin and a must have for any serious collector. These Proof 1/2 Sovereigns were only minted in small numbers (5,000), so not too many around.